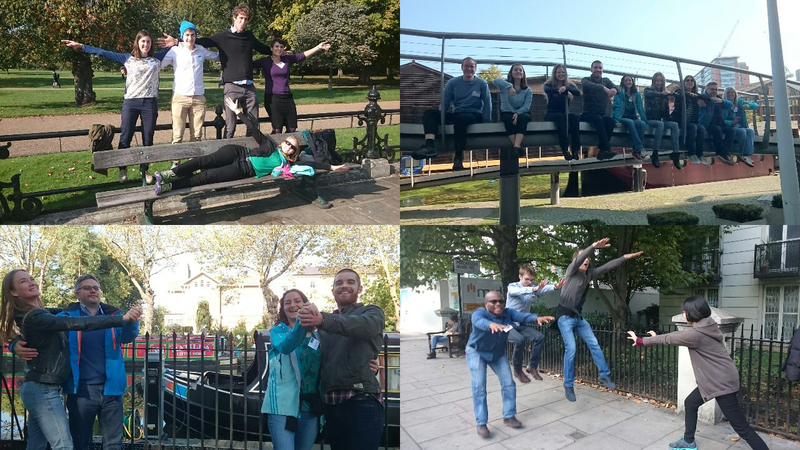 The MRC Centre for Outbreak Analysis and Modelling held its annual away day on the 9th of October. Both 2014 and 2015 saw very significant contributions made by the Centre in a variety of areas. Most notably this included both the work carried modelling and in also in the subsequent provision of vital policy advice to aid the effort to contain and end the Ebola epidemic in West Africa. The Centre was rated an unprecedented 10/10 by the MRC subcommittee for the work carried out in its first term. As we now move through the second term the Centre remains committed to an ethos of continual improvement. This year’s away day saw staff at all levels throughout the Centre present their work via a series of excellent research talks. During the latter sections of the day staff contributed to discussions and workshops aimed at further developing the capacity of the Centre, its training and mentoring schemes, further improving its excellent public engagement activities, and in expanding its health economics capacity. In addition, over 80 of the centre’s staff took part in a 2-hour team build activity. Teams were pre-selected with the intention of connecting newer staff with those that were more established. The 15 participating teams all competed in a geocaching / trivial pursuit hybrid activity where they were asked to plan their walking route around the Paddington area, to discover question locations, and answer as many of them as possible. Questions on infectious diseases, statistical modelling, and the MRC Centre itself led to ‘pie wedges’ and points being awarded along the way. Bonus points were awarded for completing photo challenges (see above). Congratulations to all the teams for completing the activity and especially the winning team of Jenny Smith, Neil Ferguson, Obiora Eneanya, Helen Fu, and Martin Walker. 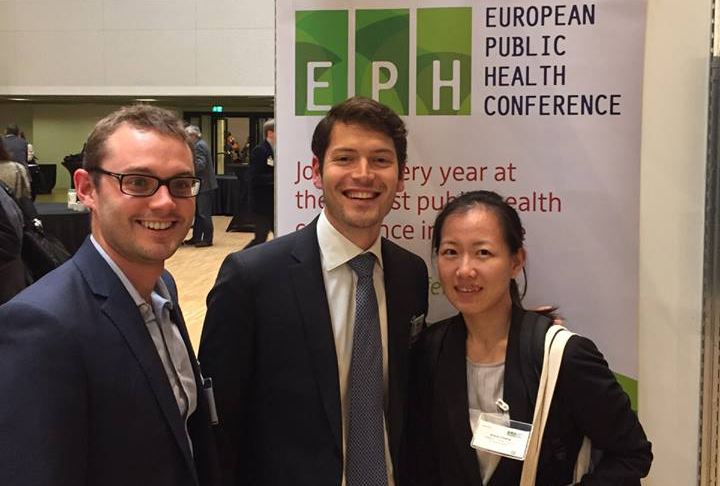 Three Researchers from the Department of Public Health and Primary Care presented their research at the European Conference for Public Health in Milan in October. Kiara Chang presented her work on the Impact of the NHS Health Check on global cardiovascular risk, individual risk factors and prescribing. Dr Raffaele Palladino presented his work on the Association between Framingham Risk Score and work limitations in health surveillance. Lastly, Thomas Hone presented his work on The Introduction of Family Medicine in Turkey 2005-2013. The conference was an excellent opportunity to showcase the work of the School of Public Health at an international level, as well as enjoying some Italian culture and food! As part of the Department of Primary Care and Public Health’s effort to develop and engage doctoral students and fellows to debate and discuss their work, the WHO CC holds weekly seminars. On Oct 21, 2015, Dr Alex Chen (PhD candidate), the seminar organiser, invited Mr Shuhei Nomura, PhD Candidate in the Department of Epidemiology and Biostatistics – ICL, to share his research projects about Fukushima Dai-ichi nuclear power plant disaster. Mr Nomura delivered a presentation on current radiation levels in Japanese coastal cities (Minamisoma City and Soma City, 15-40km north of the nuclear plant), as well as key issues and challenges facing the residents of these cities. 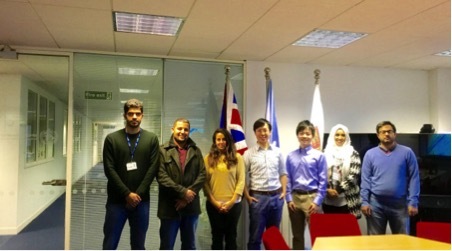 He presented data from the internal and external radiation screening programmes for residents of these cities – work in which he has been involved since it was launched in Japan in July 2011. On 11 March 2011, Japan experienced an unprecedented catastrophe compounded by a radiation-release incident at Fukushima Dai-ichi nuclear power plant in the wake of the massive earthquake and subsequent tsunami, which was later assessed as a Level 7 on the International Nuclear Event Scale – the worst possible rating. The 1st International Conference of Primary Care and Public Health, 3rd International Congress of Person Centred Medicine, was held at Imperial College London, United Kingdom, from the 29th to 31st of October 2015. The conference covered five central themes: Primary Care in the 21st Century, Ageing and Ageism, Children and Adolescences, Integrated Care, and Public Health in Primary Care. The programme comprised of keynote lectures, brief oral presentations and posters, featuring prominent figures as well as members of local communities from numerous global settings, including the UK, US, Middle East and Mauritius. Over 250 individuals attended from countries all over the world. The importance of this conference was laid out in the opening remarks from Imperial College President Alice Gast together with Dr Derek Bell of NIHR CLAHRC NWL and His excellency Professor Ala Alwan Eastern Mediterranean Regional office for the WHO. The trans-boundary issues which threaten health warrant an international response, and events such as this conference are crucial for knowledge exchange and the planning of action. i. Establish a shared goal of improvement in the health of the population through person and people centered care, taking into account biomedical, socio-cultural, psychological and spiritual elements that form part of the whole person and the demography of diverse populations. ii. Primary care and Public health professionals should create and enhance local links and build relationships with each other and local stakeholders. iii. Prevention programmes at all levels should be fully integrated within primary care. iv. Create health care databases and identify new data sets, creating from these a consolidated information system a platform for sharing and displaying local population health data that could be used by communities. v. To create common research networks to foster and support the integration of primary care and public health to improve population health. vi. To develop multidisciplinary educational programs developing the curriculum and clinical experience that ensures the integration of primary care and public health. i. That primary care should be delivered within the social networks of each person, alongside the provision Social Care and recognized as being part of a complex adaptive system with many components that reciprocally influence one another. This theme was explored throughout the conference both in addressing the complexity of a world in which displaced people’s health needs require action and in widening our understanding of what it means to be healthy. From Professor Ted Epperly’s insight to the American Health model and how our spending on medical services is not in line with what maintains health, through to Professor Marisa Papaluca’s clear explanation of how Regulators are driving innovation in providing personalised medicines. The fact that the world’s population is ageing and the need to account for increasing longevity a known fact, exploring attitudes to ‘casual ageism’ both in the elderly and the often overlooked adolescent group was integral to Professor Jon Snaedal’s talk. Professor the Baroness Ilora Finlay brilliantly summarised the importance of palliative care and highlighted the lack of focus and expertise which health systems provide for end of life care. The one time all people will require healthcare is at the time of death so it is important to focus on the end as well as the beginning. Sir Al Aynsley Green delivered a powerful and important talk on the most important significant and influential period of an individual’s life: childhood. With changing population demographics it is more important than ever to invest in children and nurture them taking inspiration from the holistic methods of childcare in Finland. The importance of person centred medicine was emphasised by Professor John Cox with particular regards to perinatal depression. This is an issue which can have enduring effects on families involved and it must be addressed in order to ensure every child has a good childhood. Professor Mitch Blair, in his inspirational talk, stressed the need for doctors to pay attention to the beginnings of life and the crucial first years and seeing the patient in the wider context of family, school, immediate community circumstances. Professor Azeem Majeed raised important points about the need for research and innovation in primary care, and explained the proposals for family practitioner led and hospital led integration. Professor the Baroness Sheila Hollins spoke compassionately about the need for person centred medicine and the imperative for care givers to work with the patient and their family and loved ones, to see the person behind the disability. Using integrated care for the treatment of atrial fibrillation was informatively described by Dr Abdul-Majeed Salmasi. Building health systems on a foundation of primary care and public health is vital for universal health coverage and improved population health. Professor Salman Rawaf spoke passionately about how crucial primary care is in order to tackle the growing prevalence of non-communicable disease and for ensuring healthcare is family and person orientated. The importance of primary care in public health was stressed in a video message from Professor Ala Alwan, director of EMRO, who highlighted that primary care is at the core of the region wide priorities for EMRO, including health system strengthening, addressing non-communicable disease, promoting health security and building capacity. The conference was attended by over 200 attendees who benefited from the event and enthusiastically spoke about the experience. “On the occasion of conclusion of the 1st International Conference of Primary Care and Public Health which was held at Imperial College, London (29-31 October, 2015), I would like to express the highest of my appreciation and gratitude to the marvelous efforts exerted on your part to have this extremely valuable conference in the best shape with this outstanding and remarkable success. My very cordial congratulation for the success of the conference which is considered a turning point in primary care and public health march at the global level. The success of the conference was evidenced by the broad participation from every corner on earth, it was a global demonstration about primary care and public health. The themes and the scope of the conference encompassed a lot of interesting issues that were so vital to primary care and public health & the presence of such group of elite scientists and experts of the field crowned these efforts and was a real added value.” Professor Tawfik Khoja – Director General Executive Board, Health Ministers Council for Cooperation Council. “Although I could not participate fully from the beginning to the end; I am so pleased to have taken part of this rich intellectual and scientific activity. I would like to take this opportunity to congratulate you and your distinguished team on the quality of the technical as well as operational arrangements of the successful conference.” Dr Atef El Maghraby – Technical Lead, Health Systems, World Health Organization. Chinese Guanghua Foundation, whose mission is to stimulate Chinese youth to contribute to China’s Science and Technology development through various programmes and awards, approached WHO Collaborating Centre for Public Health Education and Training in search for a bespoke Advanced Leadership for Healthcare course. 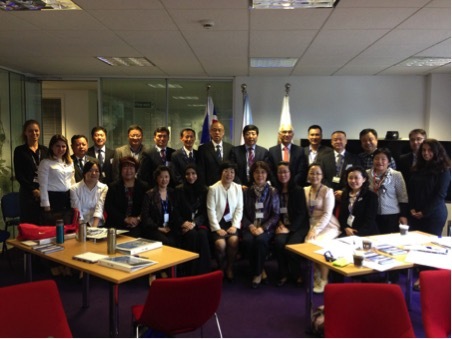 The WHO CCentre delivered the training on 1st-5th September 2015 for 16 delegates. The course included visits to NHS trust Hospitals, Research hubs and local practices as well as a series of carefully selected exercises addressed at the needs of the participants. The intensive 5-day course was the first in the series of the regular trainings for Chinese healthcare professionals and Hospital Managers. The next course is planned for April 2016. The Republic of Sudan has made significant strides in developing its health sector, especially in terms of family medicine; the country aims to achieve universal health coverage as part of its post MDG 2015 agenda. In this regard, the Federal Ministry of Health (FMOH) has embarked on an ambitious plan for the expansion of primary health care network and the national health insurance fund is drawing its agenda for universal coverage. 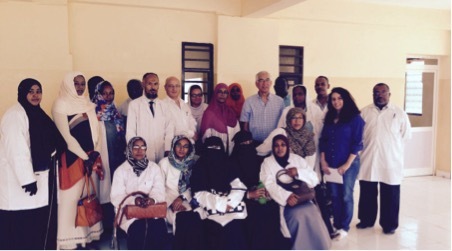 As such, the WHO CC was asked by the Eastern Mediterranean Regional Office for the WHO (EMRO) to technically support the finalization of the family medicine policy currently being developed by teams at the Sudanese FMOH and Public Health Institute (PHI). Professor Salman Rawaf and Dr Sondus Hassounah from the WHO CC were joined by Dr Hassan Salah (Technical Officer-EMRO) from the 15th-21st August in Khartoum to meet and assist the FMOH and PHI in that regard. Congratulations to our Director, Professor Salman Rawaf for achieving the Lifetime Achievement Award in Healthcare Excellence from the Indus Foundation. The Indus Foundation has initiated the Healthcare Excellence Awards – country’s most authoritative awards for the healthcare industry. Each of the Awards recognizes “excellence in medicine and healthcare” as manifested in the varied ways that may significantly impact the health and well-being of our citizens. 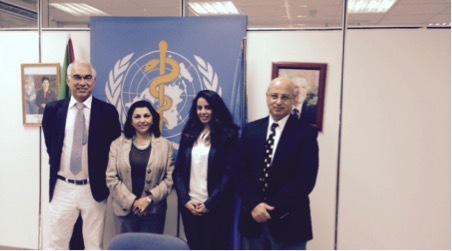 Asma Alnuaimi from Qatar joined WHOCC on 1st September 2015 as a WHO CC Fellow. Her two-year training programme will focus on health promotion, health education, public health and epidemiology. As part of her Fellowship, Asma will also work on a research question of her choice. Ahmed Sulaiman AlMujil joined WHOCC on 1st October 2015 as a WHO CC Fellow. His training will be centred on: medical education, research methodology and publication process, healthcare management. WHO CC Fellow: Dr Saad Al Saad from Saudi Arabia finalised his fellowship on 23rd September 2015. The South African Medical Research Council (SAMRC) paid tribute to some of the country’s leading medical researchers at its prestigious SAMRC Scientific Merit Awards in Cape Town. The esteemed President’s Award as well as the Platinum, Gold and Silver Awards were presented to scientists whose work has had a monumental impact on health science in South Africa. Professor Wilkinson, Senior Wellcome Trust Research Fellow in the Department of Medicine, received the Gold Award on 29 October. His work has focused on clinical and immunological aspects of tuberculosis – particularly in the context of HIV infection. Find out more on the Scientific Merit Awards website. More than 170 aspiring doctors have been given an insight into medical school by Imperial’s Muslim Medics society who held their ninth annual ‘PotMed’ conference last month. Potential Medics (‘PotMed’) is aimed at ambitious school and college students from all backgrounds keen to study medicine. Taking place on 26 September, PotMed sought to inform and prepare students in Years 12 and 13 on the medical school application process. A programme ‘for students, by students’, the day included talks from medical students and doctors; one-to-one advice on personal statements; tips on the UKCAT/BMAT as well as practice questions; mock interviews and an ethics seminar. PotMed was organised by Qamar Mustafa, president of the Muslim Medics society, supported by a committee of thirteen. “We are filled with gratitude each year when we hear accounts of students who have been accepted into medical schools across the country because of PotMed,” says Qamar. “It is particularly pleasing when we meet the new Imperial students who have benefited from our events! We try to educate students on the whole application process, from when they first get the idea to study medicine right through to (hopefully) accepting their offer.